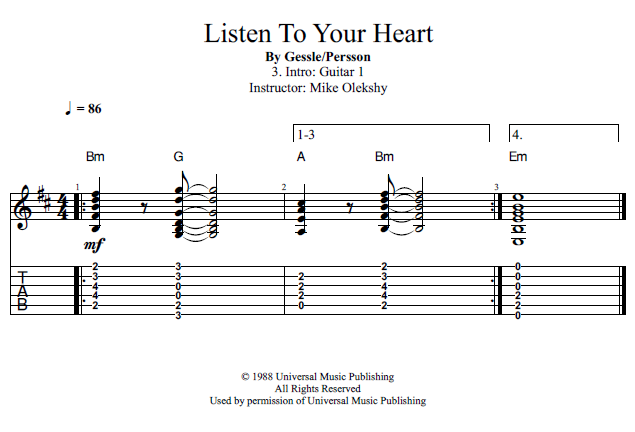 The tune starts out with the piano playing a chord progression that we’ve adapted for guitar. The chord progression is Bm, G, A then back to Bm played with some low dynamic single strums. The last time through we play an Em to set up the change to the chorus.